Click on the image to go see more! 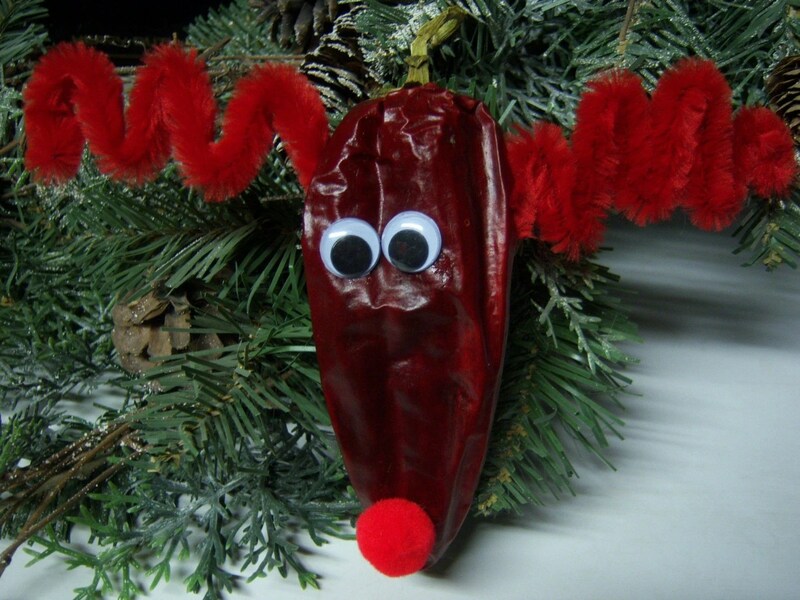 Rudolph the Red-Nosed Chili Pepper is back! He’s red, hot and festive. 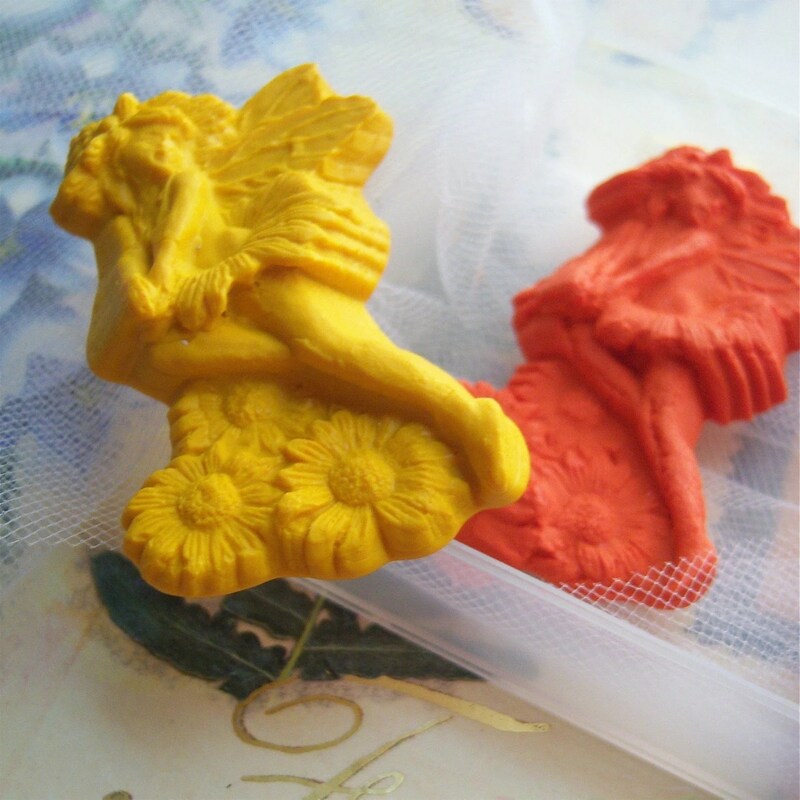 I used to make these many, many years ago for craft fairs using plastic chili pepper. I’m going green this year (well, really red) and using real dried chili peppers. Each one is a little different depending on the character of the chili pepper. Click on Rudolph’s nose to go to my Etsy store and take a look! As they are real chili peppers, they do need to be handled a little gently (i.e., they will crush if you squeeze them) so put them high on the tree where kids and pets won’t be tempted to take a bite. Treat them like a glass ornament and they will last indefinitely. Quick post just to refer you to other sites. If you are truly an obsessive Harry Potter fan, check this out for all sorts of info on Deathly Hallows filming, behind the scenes info, and the like over at Snitchseeker – its an interview with Dan Radcliffe and one of the movies producers: Click here to catch the snitch. Tired of sitting by the window with your neck exposed waiting for that special glistening one? Well wait no more! 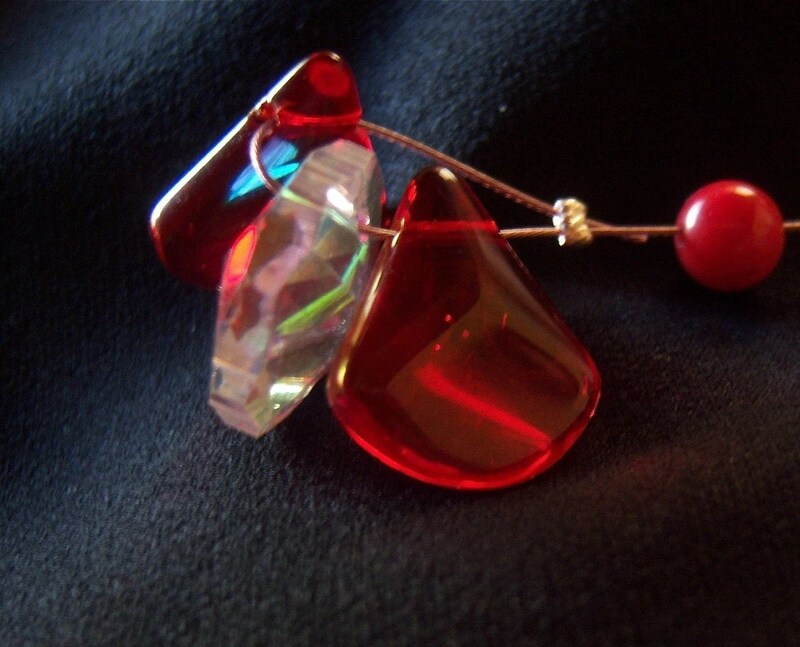 Hang these beautiful beads from a curtain rod, window, door frame and let the glittery blood red crystals work their magic and lure the vampire to you. * Even if they don’t work their magic, the beads are beautiful to watch sparkle in the twilight as you drift off to sleep. 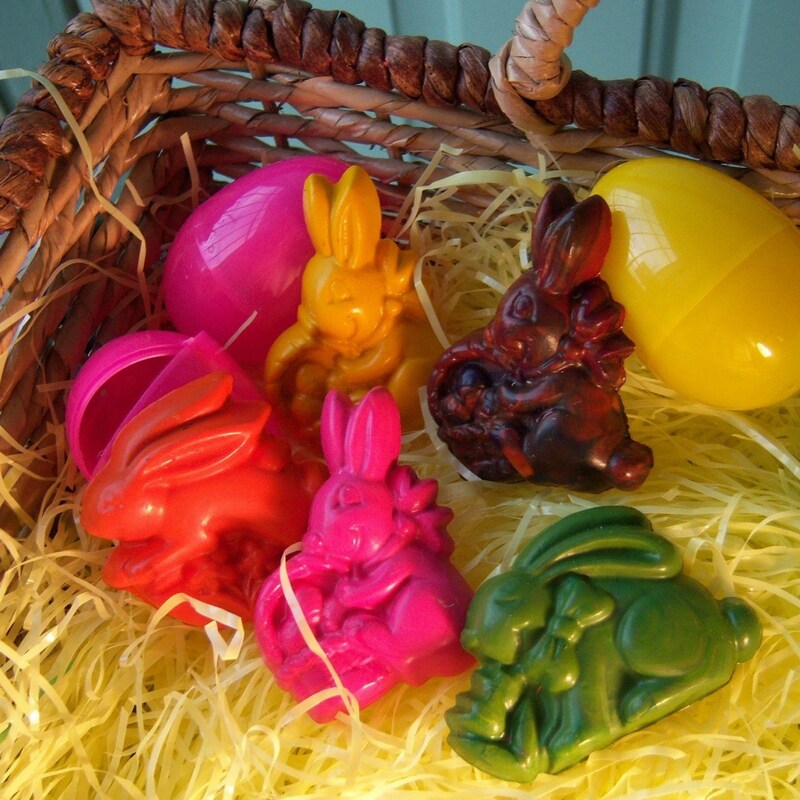 These are available at my Etsy shop – please click on the image to go get them! *Note: Use with caution. Not all vampires are young, cute and friendly like Edward! I refer you to an image of Nosferatu. 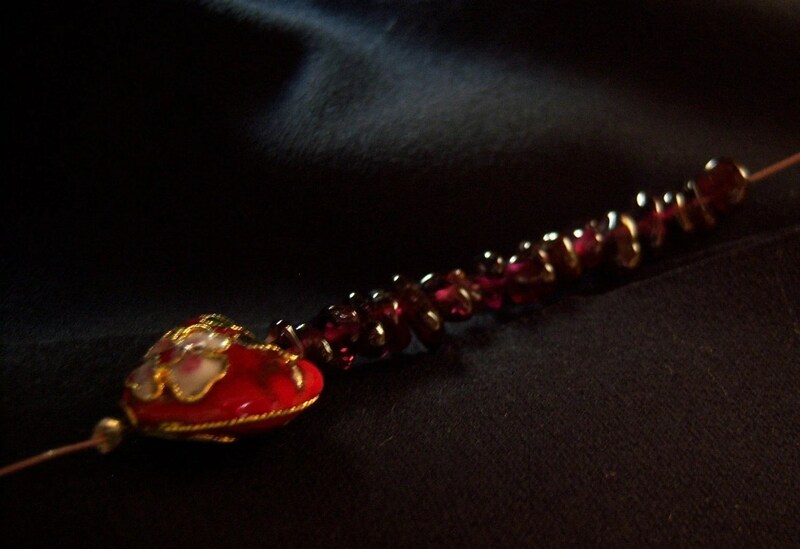 The Vampire Catcher is approximately 19 inches long, looped on top and made with cloisonne red heart beads, quartz, tumbled garnet, glass beads and crystal beads and comes with a little card explaining their use. click on the image! They make a nice stocking stuffer for that vampire chasers on your list from tweens to those who remember Lugosi. Where does the Care of Magical Creatures professor keep treats for Buckbeak or Fang? Why in this furry pouch of course! 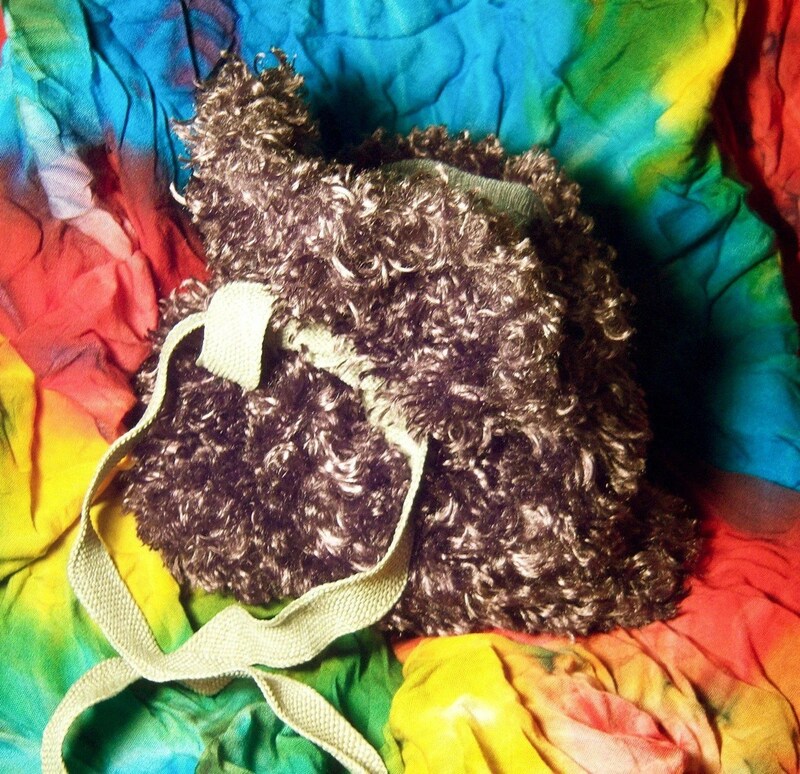 The pouch is made from the fur of Ursus Theodorus – a magical creature prone to picnics in the woods*. This extra soft curly fur pouch is also perfect for holding one’s treasures or could be used as a gift bag for that Hagrid fan’s gift (Valentine, birthday or just because gift). The pouch measures 10 x 9 inches and has a wavy linen colored band attached at one end that can be used to close up the pouch so nothing gets out. A little tag with the pouch information is also included. *Not to worry – not one Ursus Theodorus was harmed in the making of this pouch. They magically change their fur once a year as they grow leaving perfectly shaped fur images of themselves behind (this is where teddy bears come from doncha’ know). Click on the image to go to my store and purchase it for a mere $7.00 plus shipping. 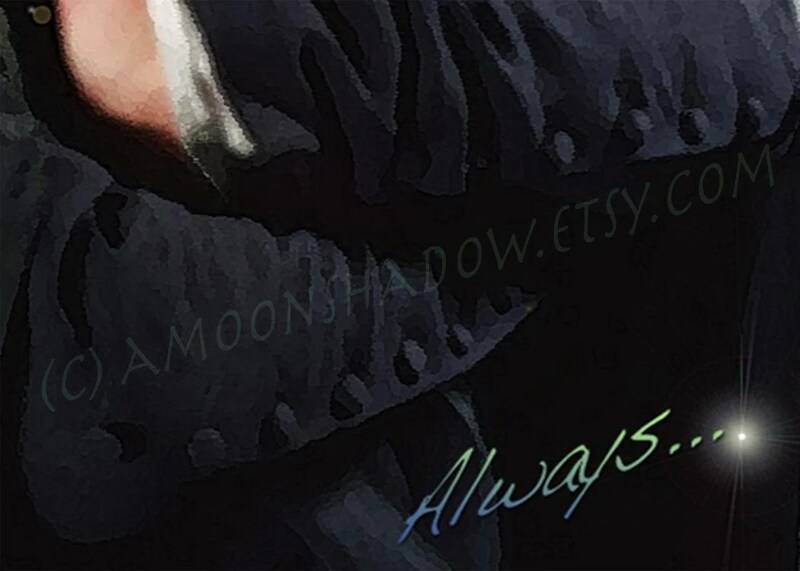 I’ve decided to be even more shameless in promoting my Etsy store items. This was the purpose of setting up the blog in the first place. This card is available for a nominal price at my Etsy store – click on the image to get there and read all about it (and buy it).